The Shankaracharya Temple as it is now is very likely quite different from what it was back then, of course, and not just because of recent renovations done on it. For something this literally ancient, dozens of repairs, renovations, and modifications would have altered the original form into something else over the years, especially as rulers changed in the Kashmir and fresh architectural influences entered the region. Several kings of the region have in fact been recorded as ordering repairs on the shrine, including Emperor Gopaditya and Emperor Lalitaditya, who is also hailed by many as the greatest emperor to have ever ruled the region because of his excellence in both scholarly learning and patronage as well as in military matters. The name of the temple is derived from Adi Shankaracharya, the famed Jagadguru of Advaita Vedanta tradition. 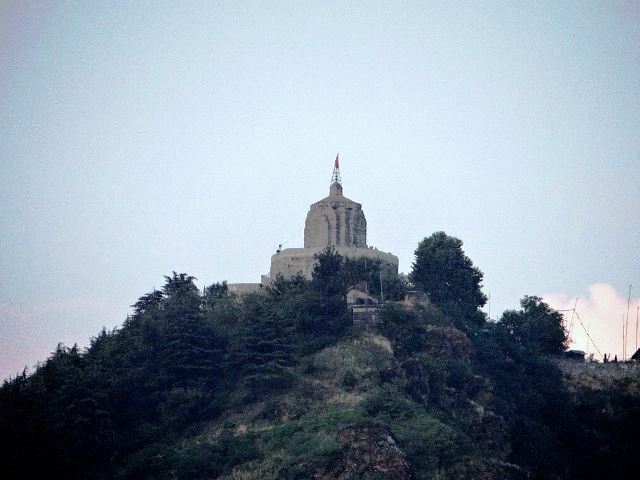 This sage is said to have passed by Srinagar at some point (presumably around the latter part of the 8th century to the early parts of the 9th century, since he lived around that time) and stayed at the top of the hill on which the temple now stands perched. Following his passage, the temple began to be associated with the guru, and thus it was renamed after him. Some people also refer to the hill as Shankaracharya Hill after him, although it has been called by many other names, including Gopadri Hill and Takht-I-Sulaiman. The temple is a worthwhile sight not just because of its provenance but also because of the interesting details remaining of the old construction. A look at it is actually quite a good argument to convince one of its age, for it bears significantly fewer modern touches than the other temples and shrines nearby. The very path one must take to reach its entrance is quite interesting: a flight of one hundred stone steps must be ascended, after which one shall finally reach the plateau of the eight-sided plinth on which the shrine rests. The shrine is about 1,100 ft above the lake itself, making it a rather imposing edifice in its own way. This means that people visiting the temple and going to the top can also look forward to getting a commanding view of the lake and all nearby areas. Shankaracharya Temple is best visited in the spring to summer months, as life tends to bloom all around Dal Lake at this time. Autumn (which begins in October for Srinagar) is not a bad time either, if you want to catch the foliage like the oriental plane trees turning red and orange. Winter lends a rather more austere aesthetic to the area, in comparison. The temple is generally open from 7:00 hrs to 20:00 hrs.